A high performance binding in a light and forgiving package DIN value of 4-12 is perfect for kids or beginners alike 180° of release in the toe prevents knee injuries 28mm of dynamic range in the heel ensures reliable release Compact mounting points allow for a natural ski flex Low stand height gets you closer to the ski for more control Skis are 2010 Goats; you can have them if you payshipping otherwise I'll send you the bindings. 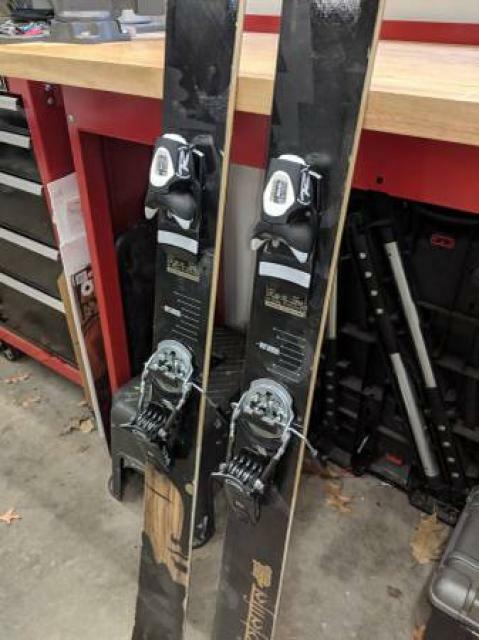 QUESTION: What length are these skis and what size boot are the bindings mounted for? ANSWER: The skis are 177 cm, the bindings are in the middle of their range for a 322 mm boot. Just to be clear I was selling the bindings not the skis due to the cost of shipping skis, but if you make me an offer and pay for the shipping I'll get them to you for pretty cheap.